Stylish and contemporary, this channel set diamond engagement ring features symmetrical lines for a clean, modern look. 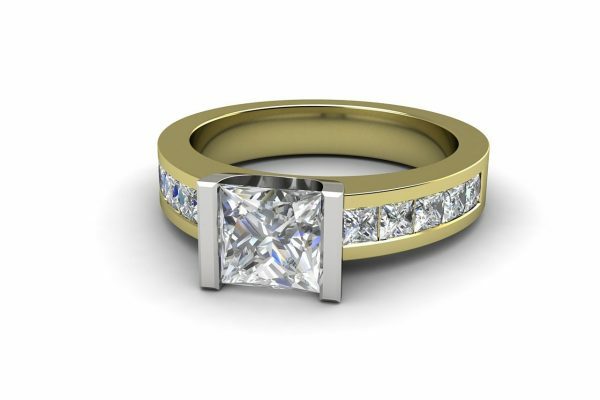 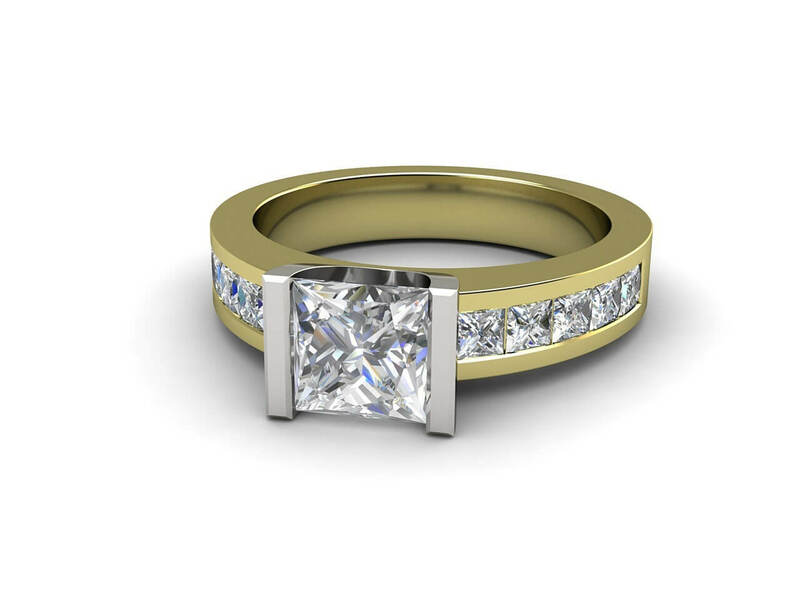 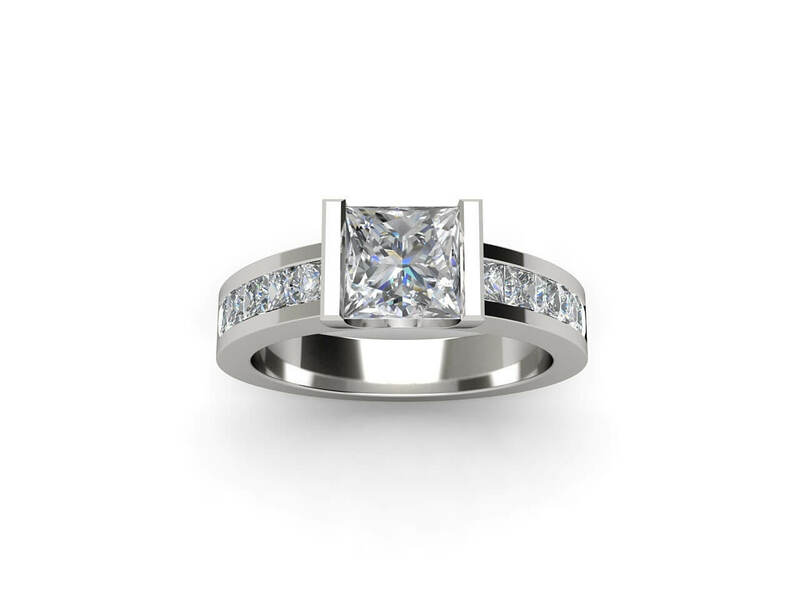 The princess-cut centre stone is set in a smooth polished band with ten channel set diamonds, balanced five on each side and is available in 18k white gold, yellow gold, rose gold or platinum. 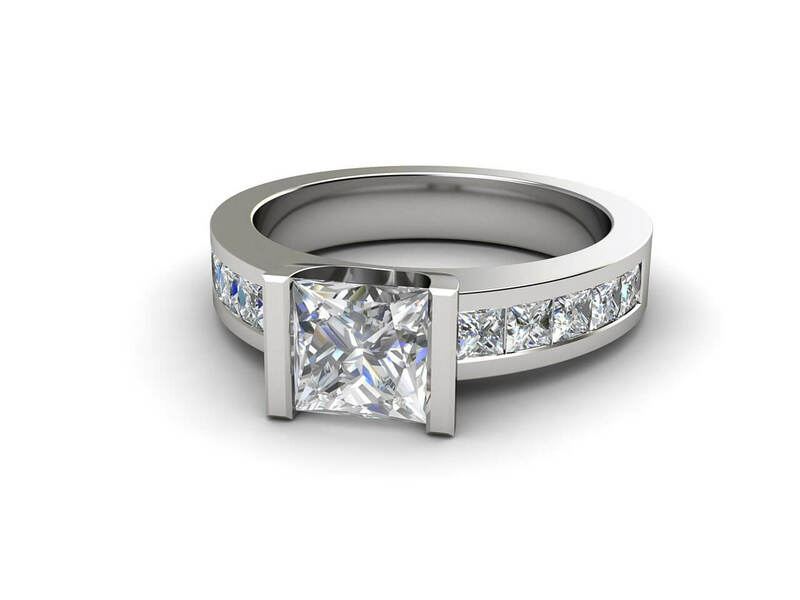 You can complete the look with a matching diamond wedding band or eternity ring. 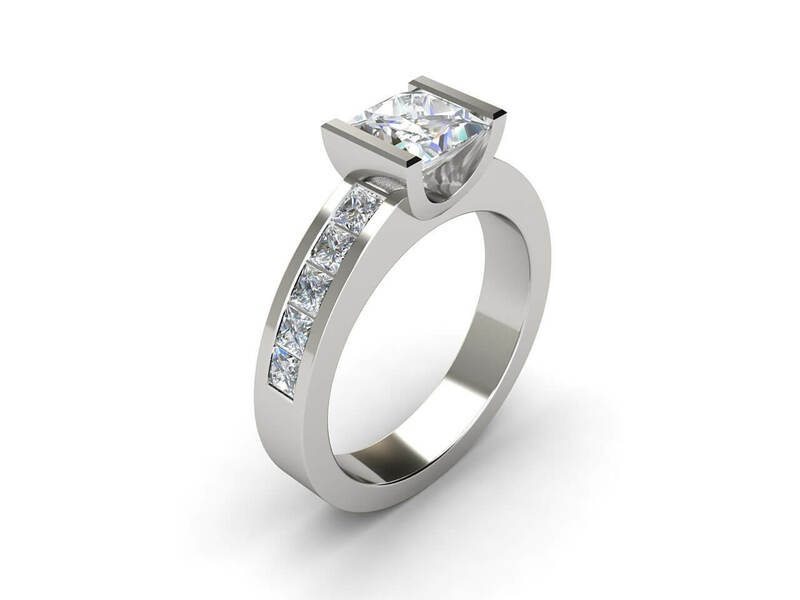 Weight side stones: 0.60ct aprox.